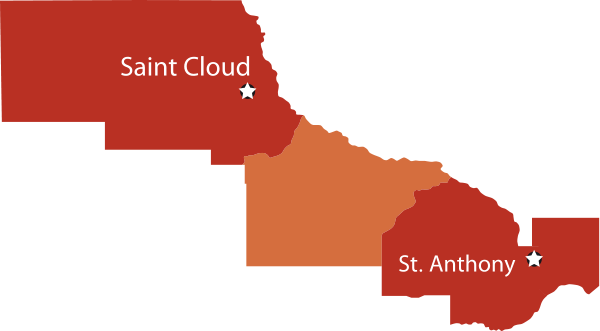 With offices located in Saint Anthony, MN and St. Cloud, MN, Recover Health Resources serves the local community and the surrounding areas. Note that we are currently adding counties to our service areas so if your county is not listed, please double-check with us by calling 612-367-4417/320-259-1369.